The black rat was the only known rat in England until the 18th century, at which point it was ousted by its aggressive cousin, the brown rat. Populations of black rat are now very rare. The brown rat originated from Asia and China. It was first recorded in Europe at the beginning of the 18th century. Referred to as the Norway rat because it was thought that originally they travelled from the East on Norwegian timber ships. The brown rat (Rattus norvegicus) tends to have smaller ears and eyes, and a blunter nose. The colour of the brown rat can vary but is usually brown to grey on their backs with a lighter underside. As already mentioned the ears and eyes are small and the tail is slightly shorter than the head and body. The tail is dark above and lighter below. The adult brown rat weighs between 400 – 500 g and has between three and six litters per year, with the litter size being eight to ten. The brown rat reaches maturing in 2 – 3 months and the average lifespan is 12 months.The age of the rat can however sometimes lead to confusion when identifying the type of rat, with the young of both species tending to have larger eyes and ears proportionally. The age of the rat can however sometimes lead to confusion when identifying the type of rat, with the young of both species tending to have larger eyes and ears proportionally. The Brown Rat is incredibly adaptable and will live anywhere where there is access to food, water and shelter. Brown Rats are omnivorous and will eat just about anything from fruit and seeds to human food waste, insects, birds eggs and even small mammals. They eat on average one-tenth of their body weight each day. Commonly to be found around towns and cities. Brown rats are expert climbers, jumpers and swimmers. Originating from Asia these rats rapidly colonised with a pair of brown rats able to multiply to 200 in one year. 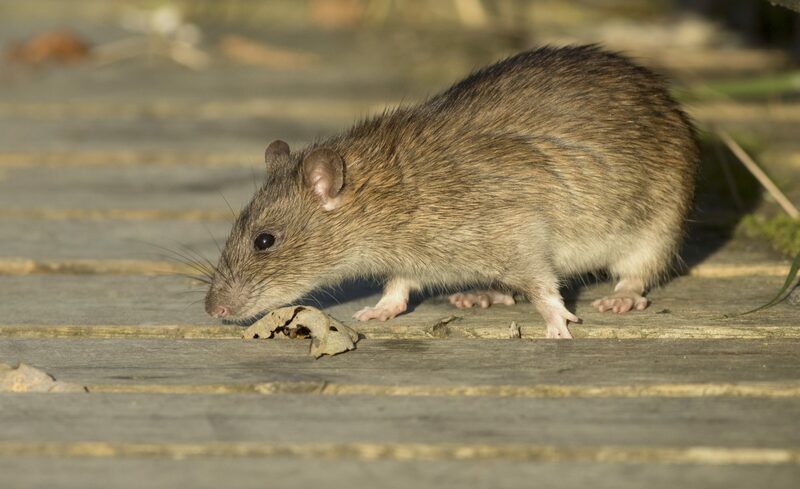 In domestic situations, the Brown Rat will be found living in roof spaces, wall cavities or under floorboards. In gardens, they tend to burrow into grassy banks or are often to be found under sheds. Brown Rats can also be found living in sewer systems. The brown rat, also known as water rat, sewer rat, long tails, has neophobia and therefore there is a tendency to avoid new objects for several days. As a result, despite their eager nature to explore new locations they will also avoid baits placed on their runs. Therefore this should be remembered and taken into account when baits are checked after an initial treatment. Rats tend to be disliked by most people. Rats spread disease, contaminate foodstuff and in addition, can cause serious damage to buildings and materials. The capability to carry serious disease is a major issue with most people and the main reason why people fear rats. Weill’s disease, murine typhus, salmonella bacteria, parasites, viruses and worms are just some of the health issues that can be associated with Rats. Rats the same as mice, continually gnaw on solid objects. The damage rats cause in buildings can prove to be very costly. Amongst this the potential for causing fires which can be extremely costly in some cases hundreds of thousands of pounds worth of damage if cables and wires are gnawed. It may be hard to believe but gas and water pipes can also be at risk from being gnawed. In addition continual rat burrowing can cause serious subsidence to buildings. It is important that a programme of pest prevention is put in place to prevent rats entering premises.